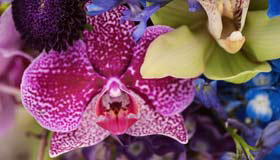 Finding a florist in Portland is really not that hard, but finding a GREAT florist can be a little trickier. Being in the Portland Wedding market for over 5 years, I've noticed some traits that make the best florists stand out from the mediocre. 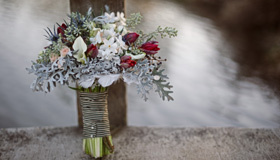 Below are five tips to finding the right florist for your Portland wedding! Experienced florists know how to treat a flower. Real florists have the resources and knowledge to properly prepare flowers so they will be open and beautiful on your wedding day! 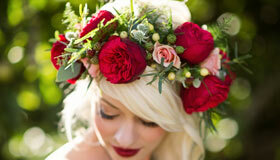 The best wedding florists are creative and know how to work with color and texture. 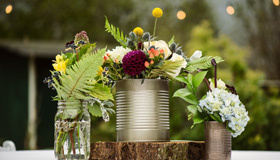 Of course nearly every bride has pinterest boards and inspiration colors, but a great wedding florist will take those ideas and run with them! They are artists and love working with a bride who will trust their vision to create something even more beautiful than they could have imagined for their wedding day! Talented florists will know what's in season on your wedding day. Unfortunately for most brides, peonies are not in season all year. (I know, right?) But a great florist will know what is in season and what she can use that will evoke a similar look and feel. Your floral designer should ask you about your dress, personality and of course your venue. 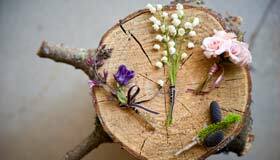 Your wedding will be unique and a great floral designer will make sure their design compliments your venue and esthetic instead of fighting with it. For example, if you are a petite bride, your florist will take this into account and not overwhelm you with a mondo bouquet. 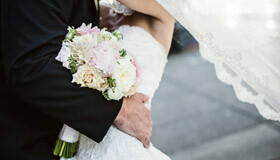 Professional florists will provide you with a very specific proposal for your wedding day. 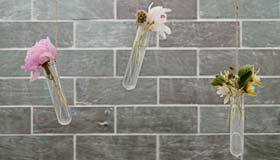 She should even be able to provide you with a high and a low estimate depending on if you're willing to use less expensive blooms. And one last thing... an ethical florist will not take someone else's quote and copy their design while slashing their price. Blüm was established in 2005 and consistently produces beautiful weddings in the Portland area. 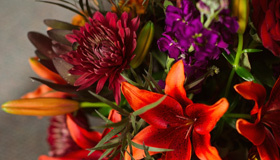 Botanica specializes in eco-friendly, local, organic, fair trade and sustainably grown flowers. Alicia is the queen of finding the perfect complex variety of ingredients to make each piece unique and stunning! Floral Sunshine highly customizes each event for their clients and is very flexible and easy to work with. I've had the pleasure of working with Geranium Lake Flowers on projects featured in Style Me Pretty, the Oregon Bride Magazine Guide and the Today Show! Gifford’s Flower Shop has been in business since 1938! They seriously know their stuff. You will frequently find Rosemary using fruit, vegetables, spices and who knows what else in her arrangements. 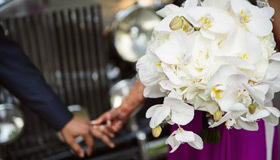 I highly recommend Sophisticated Floral Design to any bride looking for a personalized, one-on-one experience! The style of Zest can best be described as classic, chic and modern with a bit of sass!